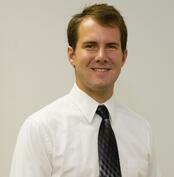 We are proud to announce Joe Bartos, E.I., as our May Employee of the Month! Joe joined the Wessler team in 2011, and has been a key member as a Project Engineer/Assistant Project Manager in the Wastewater Group. He manages efforts for sanitary and combined sewer rehabilitation projects, design of new sanitary sewer collection systems, as well as evaluation of existing collection systems. He also assists communities by preparing technical reports that provide the groundwork for successful construction projects. We had him answer some questions about his time at Wessler and what he enjoys doing in his spare time, as well as his love for Caddyshack and hot wings. What are your roles and responsibilities at Wessler? As a Project Engineer/Assistant Project Manager in our Wastewater Department, I am mainly responsible for seeing collection system projects through from start to finish. This typically includes studies, design, bid, construction administration, and RPR services for sewer rehabilitation, new gravity and low pressure sewers, and occasionally some lift station projects. To me, the Wessler Way embodies building and maintaining meaningful and lasting relationships that exist both at work and outside of it. What are some of the most valuable lessons you have learned? It is easy today to get bogged down with meetings, answering emails, what is trending on Twitter, etc. and feel like a day has gone by without anything productive happening. The lesson is simple and was conveyed to me by a coworker a year or so ago: make every day a productive one. Outside of work, what are some of your favorite hobbies? When I am not watching dirty, greasy sewer videos, I enjoy playing golf, playing guitar, attending concerts, and watching sports. 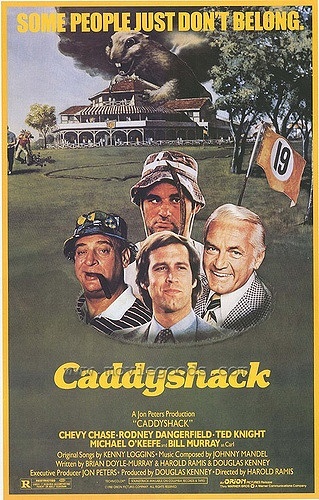 Rumor has it you are a Caddyshack fan! What are some of your favorite lines from the classic movie? Carl Spackler: "A looper, you know, a caddy, a looper, a jock. So, I tell them I’m a pro jock, and who do you think they give me? The Dalai Lama, himself. Twelfth son of the Lama. The flowing robes, the grace, bald… striking. So, I’m on the first tee with him. I give him the driver. He hauls off and whacks one – big hitter, the Lama – long, into a ten-thousand foot crevasse, right at the base of this glacier. Do you know what the Lama says? 'Gunga galunga… gunga, gunga-lagunga.' So we finish the eighteenth and he’s gonna stiff me. And I say, 'Hey, Lama, hey, how about a little something, you know, for the effort, you know.' And he says, 'Oh, uh, there won’t be any money, but when you die, on your deathbed, you will receive total consciousness.' So I got that goin’ for me, which is nice." By far, when people do not replace the toilet paper roll. What is one food that you would never give up? Being originally from Buffalo, NY, wings are basically a food group. The hotter, the better. Of course, Seinfeld. To name a few others - Dexter, Breaking Bad, and The Sopranos.